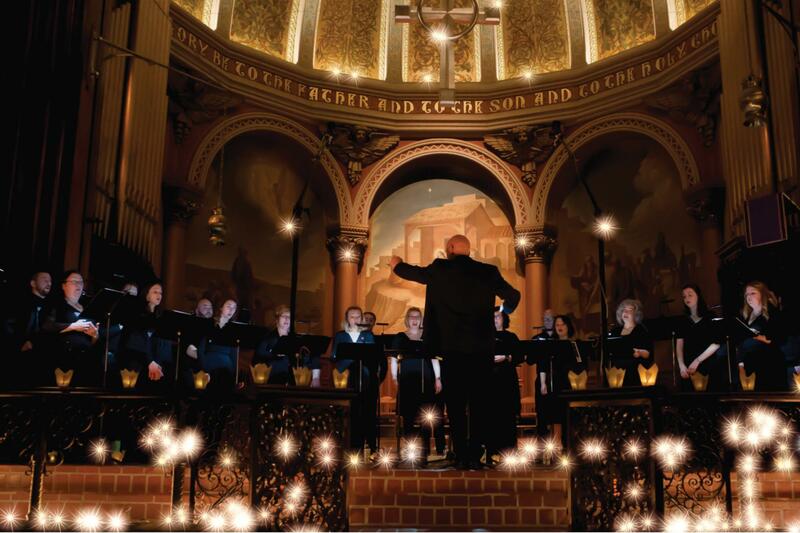 Hailed as "ardently angelic" (Los Angeles Times), "superb" (The New Yorker), and "something of a miracle" (The Philadelphia Inquirer), The Crossing is a GRAMMY-winning Philadelphia chamber choir dedicated to vivid new music. Devoted to completely reimagining the experience of choral music for composers, singers, and listeners alike, the ensemble has commissioned an astounding sixty pieces in just over a decade, one of them a 2018 Pulitzer Prize finalist. The Crossing makes work that is boldly relevant and insistently beautiful. At Duke Performances, twelve singers from The Crossing, led by conductor Donald Nally, offer Durham audiences the opportunity to hear composer David Lang's extraordinary Pulitzer Prize-winning masterpiece, The Little Match Girl Passion. Recasting Hans Christian Andersen's tale of the suffering and death of a homeless child in the form of Bach's St. Matthew Passion, Lang compares the Little Match Girl's experience to that of Jesus, elevating her sorrow to a higher plane. Like Bach, Lang interpolates the reactions of the crowd and statements of shock and remorse, placing the audience inside the action. Setting the stage are a series of short commissioned pieces, including Lang's spare and shimmering make peace, a setting of the Jewish prayer of mourning.